Berrimilla safely moored at the Cruising Yacht Club in Sydney Harbour on 22 January 2006. 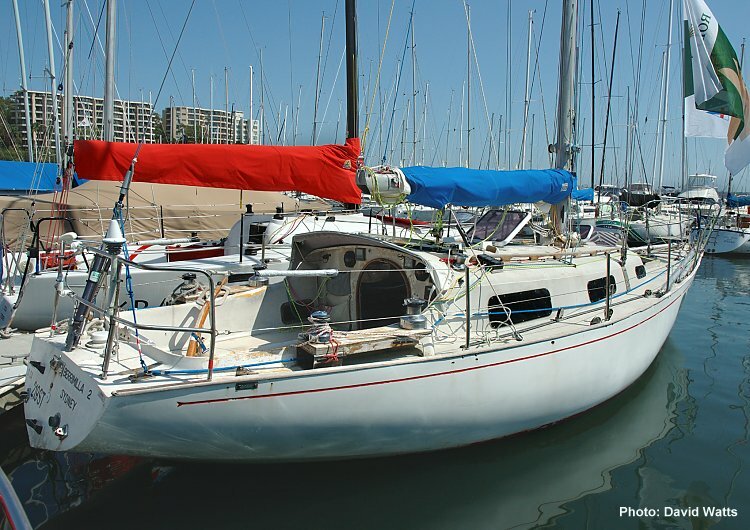 In this yacht, Adastrian Alex Whitworth and co-owner Peter Crozier sailed around the world immediately after competing in the 2004 Sydney to Hobart race. Berrimilla returned to Sydney just in time to compete in the 2005 Sydney to Hobart. During a stopover in England, Alex, Pete & Berri distinguished themselves in the famous Fastnet race.